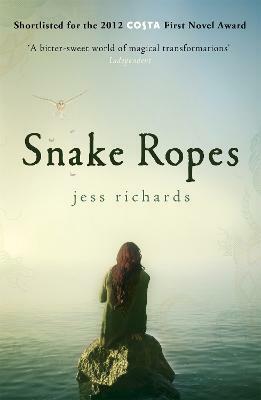 SHORTLISTED FOR THE 2012 COSTA FIRST NOVEL AWARD Jess Richards' stunning debut will show you crows who become statues and sisters who get tangled in each other's hair, keys that talk and ghosts who demand to be buried. She combines a page-turning narrative and a startlingly original voice with the creation and subversion of myths. ON AN ISLAND OFF THE EDGE OF THE MAP, BOYS ARE DISAPPEARING The day the tall men come from the mainland to trade, Mary's little brother goes missing. She needs to find him. She needs to know a secret that no-one else can tell her. The islanders live by their own creeds, trade with the tall men their only contact with the mainland. Just one family has travelled to settle there, but eldest daughter Morgan must wait until she's twenty-one to learn the secrets told only in the women's sanctum, the Weaving Rooms. Meanwhile, Mary's little brother Barney has been snatched by a trader, like many boys before, and she seeks justice from the Thrashing House, a mysterious place said to have grown from the island's last tree. From the islanders' subtle creole to their myths of sea and sky and earth, Richards has nurtured a remarkable community, their home glimpsed in the sea-mist like a new Avalon. Angela Carter or Laura Esquivel would have been proud of this.